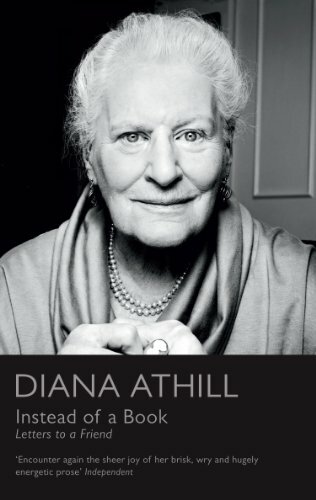 Thirty years of wit, wisdom, gossip and intimacy from Diana Athill, one of the nation's bestselling and best-loved authors, in the first collection of her letters ever to be published. Diana Athill has corresponded with the American poet Edward Field for over thirty years, freely sharing jokes, pleasures and pains with her old friend, and writing with an intimacy and spontaneity even more revealing than the candour of her celebrated memoirs. Edited, selected and introduced by Athill, and annotated with her own delightful notes, this collection of those letters reveals a sharply intelligent woman with a keen eye for the absurd, a brilliant turn of phrase and a wicked sense of humour. Covering her career as an editor, the adventure of her retirement, her immersion in her own writing and her reactions to becoming unexpectedly famous in her old-age, and including gossip about mutual friends, sharp pen portraits, and uninhibited accounts her relationships - and ailments - Instead of a Book gives a wonderful description of a woman growing older without ever losing her zest for life.